Top Ten: Brooches and Pins! Now, I love a good brooch; I think the right brooch can really complete an outfit. When I think of accessorising an outfit, I always think of necklaces, but deep down, I've always been a brooch-lover. When I was a teenager, my bag straps were always covered in button pins, and these days I often have one on my coat. This post is going to be a round-up of some of the brooches that have caught my eye recently. I think I'm going to have to start adding a brooch to my outfits more often!! 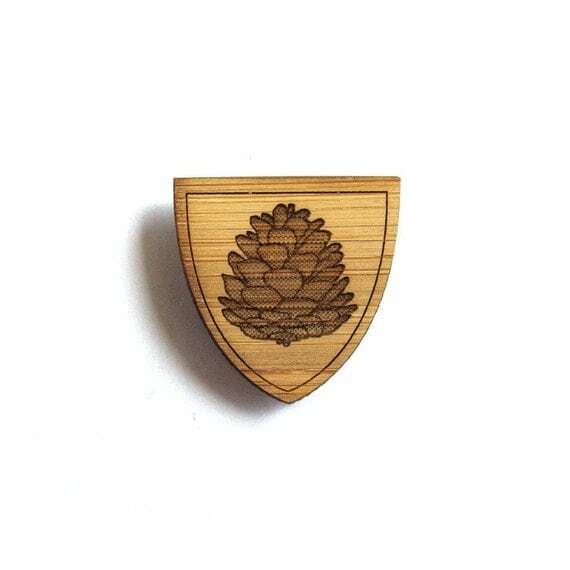 This simple pine cone brooch from cabin + cub design would make a lovely lapel pin. I've always loved collecting pine cones. 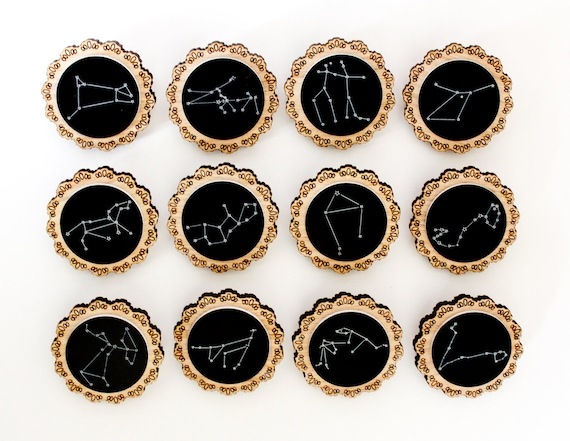 I love all of these beautiful constellation brooches from ShadeOfABonsai. I'd wear one to accent a dress, like Katie of Skunkboy Blog! I love the detail in this deer brooch by Layla Amber via Hannah Zakari. It's all the best bits of a mounted deer head, without the death and... lack of wearability. Anyone who knows me will be well aware of my obsession with aeroplanes. I love this little red brooch by Hug A Porcupine via Hannah Zakari because it is so stylised. It reminds me of the vintage toy planes that hung from my Grandpa's workshop ceiling. 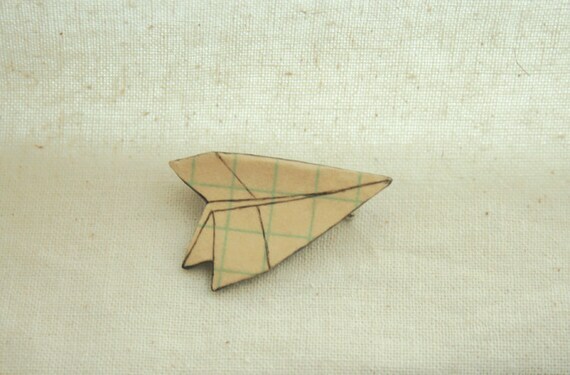 Ahhh, and another beautiful little aeroplane brooch by stoicandpariah on Etsy. This one is unbelievably whimsical, don't you think? Another brooch (this one's definitely more of a lapel pin though) that I own. I am a self-confessed nerd and Vlogbrothers fanatic, so I was very pleased when Dan bought me this "Nerdfighter Pin" for Christmas last year. Sometimes I wear it to work in the library. It seems fitting. 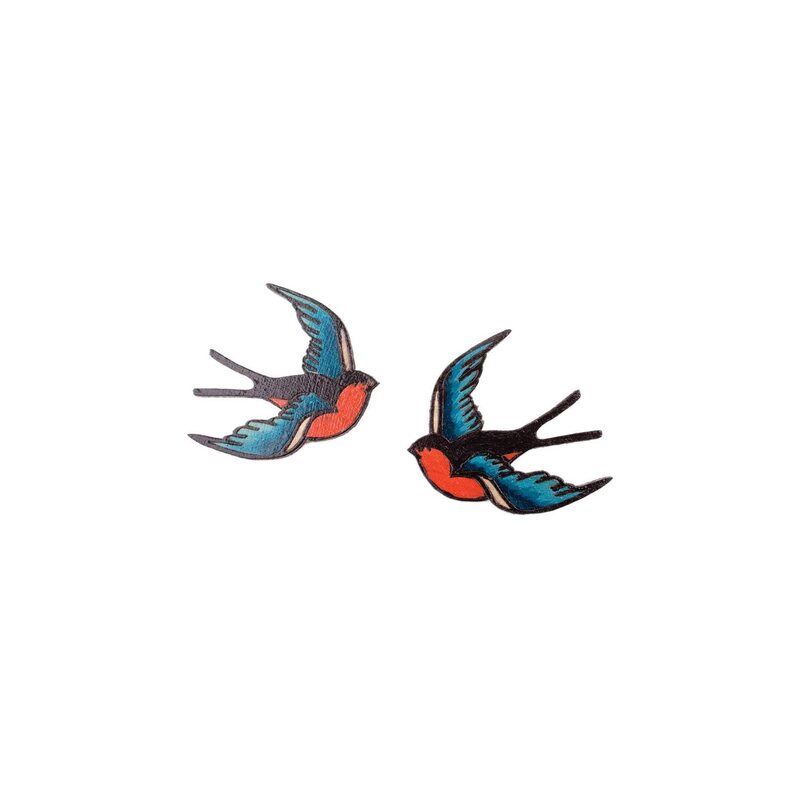 I am in forever-love with practically everything made by Tatty Devine, and these brooches are no exception. I love that they come in pairs. I know that the nautical look goes in and out of fashion all the time, but I'll never stop loving it! 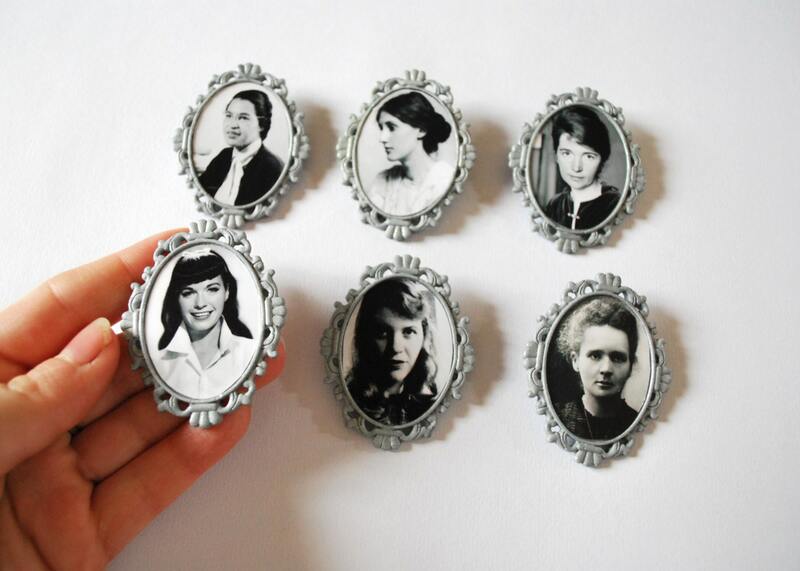 These Women In History Brooches by nappyhappy on Etsy are just PERFECT. My absolute favourite is the Sylvia Plath one (middle on the bottom row), but then it would be, I suppose! If I owned this brooch, it would be a struggle not to wear it EVERY day!! And finally, (this one is definitely out of my budget, but it's beautiful nonetheless!) 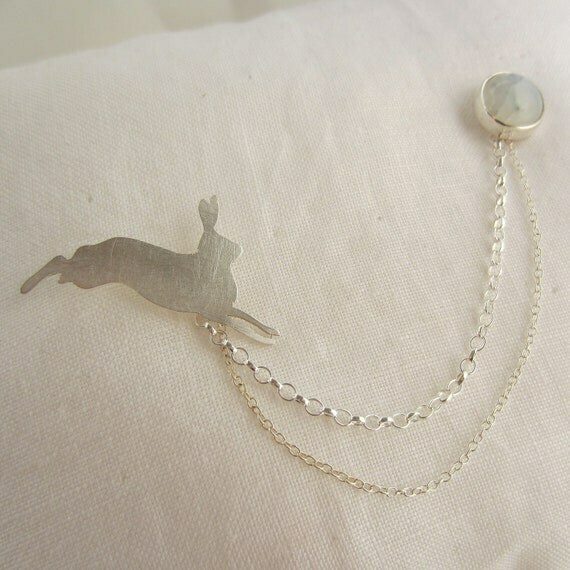 this gorgeous moonstone brooch by CharlotteBezzant on Etsy. Moonstones are my absolute favourite semi-precious stone, and this piece has obviously had such careful and skilled craftsmanship go into it, that I just wanted to share it with you! So there are my top ten brooches and pins! I wish I had enough money to own each and every one of the brooches shown above; they are all things of beauty!! I hope you enjoyed seeing this array of pretty things. The next "Top Ten" post will be for hair clips and accessories, so stay tuned! 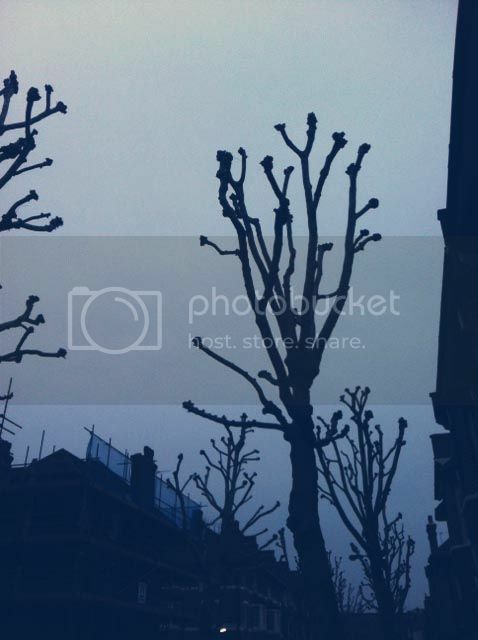 The weather in the UK has been unendingly miserable for the last few months, and London is no exception. My morning commute is dominated by a sea of unhappy faces, dead eyes focused grimly on the gum-flecked pavement ahead. Dan and I have both been working full time, and even though it's been getting slightly lighter in the mornings and evenings, it still feels like we spend all our daylight hours indoors. I guess that's the world of work, but I'm hoping that one day, I'll have a job where my hours are a bit more flexible and I can feel less like a cog in an unending... box? of cogs... Not sure where that simile was going, but you get the idea. Still, there is beauty to be found in this gloomy, grey landscape. 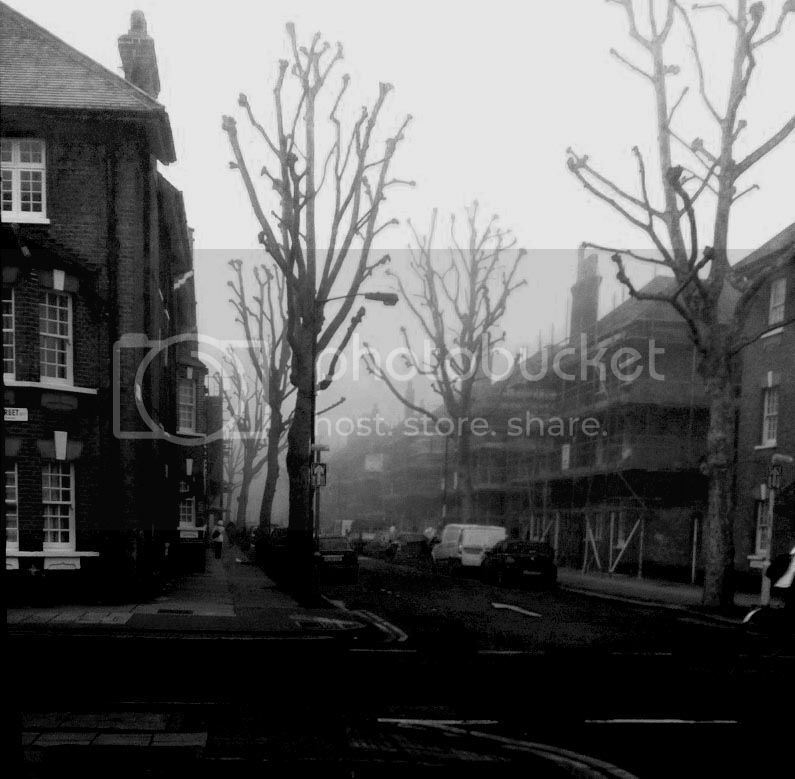 I've been snapping some photos on my iPhone on my way to and from work in the last few weeks and I think they give you a fairly good idea of the general mood in London at the moment! 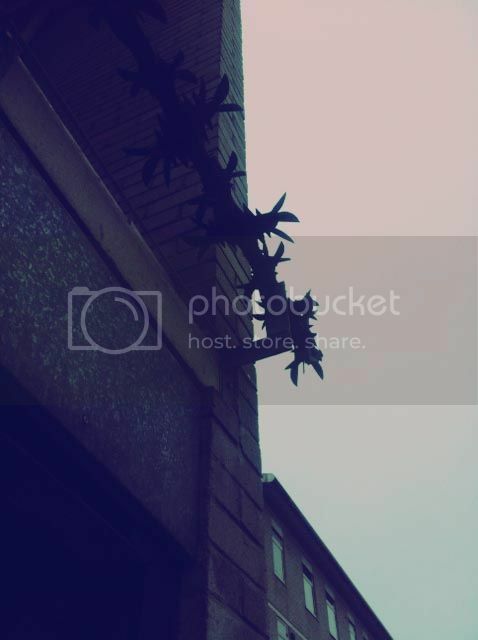 I can't wait until it stops snowing and raining, and I can find daylight hours to take photos for this blog again. I spend a great deal of time fantasizing about the carefree summers of university, making particular usage of my keen ability to look back on things through the hazy glasses of nostalgia! It's going to be amazing when the sun comes back!! Until then, I have to make time and make an extra special effort. It's not all been doom and gloom anyway. I've met some lovely new people at work, and our wedding planning is coming along very well. Stay tuned for some wedding-related bloggage!